Our electric wheelchairs can be driven by a small movement of the hand using a joystick. The EZee Fold models are the answer for those who want independent mobility around home, at the shops or when traveling. Our EZee Fold line of power wheelchairs provide a truly portable power wheelchair with an easy fold mechanism that allows it to be loaded into most vehicles. 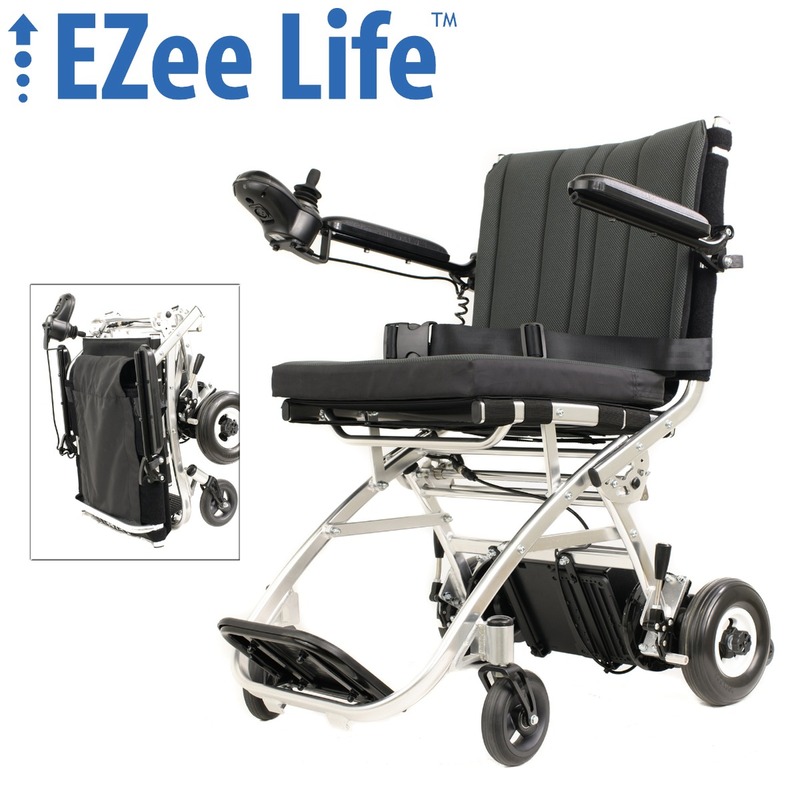 Do not confuse EZee Fold with EZ Fold, EZ Lite or Easy Fold; only EZee Fold is by EZee Life in Canada. 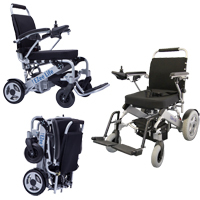 Generation 1 EZee Fold Electric Wheelchairs Our original power wheelchair available in standard or heavy duty models, with an 1 piece footboard or swing-away footrests. 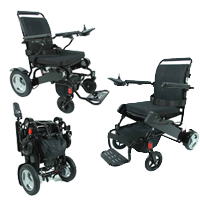 Generation 2 EZee Fold Electric Wheelchairs Our second generation EZee Fold wheelchairs are available with a black or grey frame, 8" rear wheels and side frame mounted batteries. 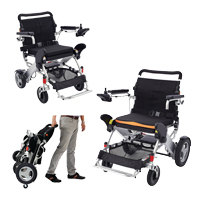 Generation 3 EZee Fold Electric Wheelchairs Our latest EZee Fold models with side frame mounted batteries, 8" or 12" drive wheels and optional swing-away elevating leg rests. Generation 4 EZee Fold Bariatric Electric Wheelchairs Our G4 EZee Fold model is a heavy duty power folding wheelchair 12" drive wheels and a weight capacity of 500 pounds! 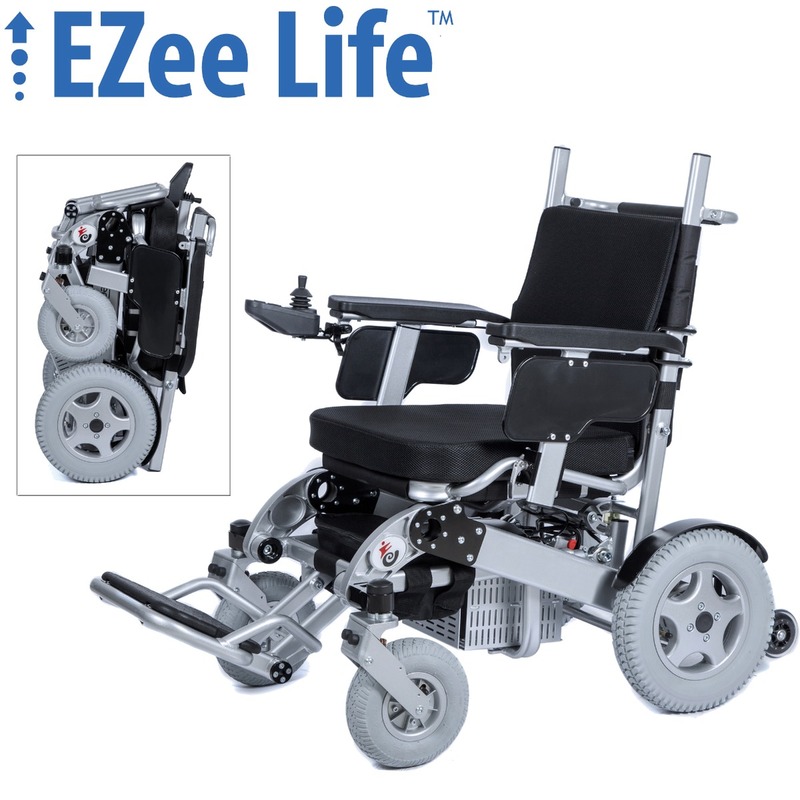 Generation 5 EZee Fold Ultra-Light Electric Wheelchairs Our G5 Ultra-light EZee Fold model is a super light power folding wheelchair with 8" drive wheels, a weight capacity of 220 pounds and a total weight of just 37.5 pounds!